What is Ecstasy? Can You Overdose? Although it is often considered benign and referred to colloquially as a "club drug," ecstasy (MDMA) is a "Schedule 1" controlled substance, a classification shared with other dangerous narcotics like cocaine, heroin, and LSD. Ecstasy, also called Molly, X, Adam and XTC, is a psychoactive, synthetic drug that shares many physical effects of amphetamines and cocaine, and it has both stimulant and mild hallucinogenic properties. While the risk of overdosing on ecstasy is not as high as with drugs such as cocaine or heroin, the risk exists. This is particularly the case when ecstasy is combined with alcohol or other drugs--an extremely common practice in ecstasy users. Ecstasy is neurotoxic and causes a marked increase in body temperature that can lead to cardiovascular and kidney system failure when used at high doses. Young adults are the primary consumers of ecstasy in the United States at significant rates as early as middle school. According to data from the 15,000 high school seniors surveyed in the 2014 Monitoring the Future nationwide annual study, approximately 4% of high school seniors reported using ecstasy within the last year. In a separate study, 2% of 8th graders and 5% of 10th and 12th graders said they had used ecstasy within the past year. Numerous high school seniors use Molly but are unaware that this is the same drug as ecstasy. Since this survey did not specifically ask about the use of Molly, the 4% figure may be significantly underreported. Of these high school seniors, females are at a lower risk for use than males and living in a rural area appears to be a protective factor. 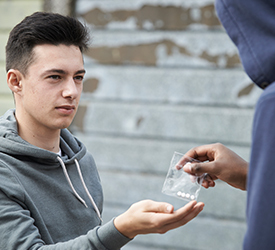 There is a strong correlation between a teen's previous use of illegal drugs, cigarettes, marijuana and alcohol and their use of ecstasy. Young adults making $50/week from a job were also at increased risk for ecstasy usage. The content of Ecstasy varies widely, with a range of added substances including caffeine to dextromethorphan. Ecstasy is a 'gateway' club drug, and its use is a likely predictive factor in the future use of other dangerous drugs such as GHB and ketamine. 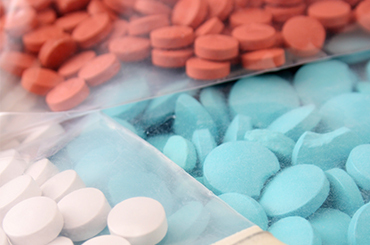 Ecstasy overdose can cause hyperthermia, leading to organ damage and even death. Hyperthermia (overheating) is a primary outcome of ecstasy overdose because of the extreme physicality of typical users, the inability to sweat, and the fact that ecstasy usage increases body temperature. with alcohol and other drugs, which is often the case because ecstasy use reduces inhibitions. Emergency room data indicate that the combination of ecstasy and marijuana use has increased steadily over the past 20 years, and that over 70% of ecstasy use ER visits involved abuse of other substances as well (2011 DAWN Report). An ecstasy overdose is not something that can be handled without medical assistance. In the case of ecstasy overdose, call 911 or the National Poison Control Center (855-681-1324) and/or go to a hospital immediately. Because hyperthermia is a major risk of ecstasy overdose, helping to rehydrate and lower the body temperature of the individual who has overdosed while waiting for trained medical treatment may be useful. There is no sure way to use ecstasy without risking a potential overdose. As mentioned above, since dehydration is one of the key signs of ecstasy overdose, staying well hydrated is critical. Avoiding polydrug use is another precaution. Alcohol and ecstasy are often taken together, and this dramatically increases the risk of overdose. If you or someone you love is dependent on ecstasy and you are concerned about a potential future overdose, please call us today at 1-888-993-3112Who Answers? to learn more about the treatment options available. As with overdoses of other drugs of abuse, medical intervention, and treatment are specific to each individual's physical and psychological reaction to the drug's usage and the severity of symptoms. 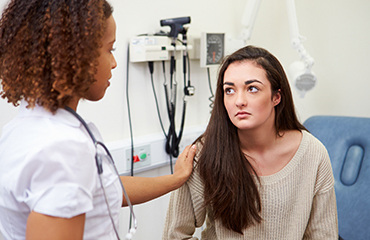 Effective ecstasy overdose treatment takes place in a hospital emergency room where trained medical staff provides a continuum of care, starting with treatment of acute physical reactions. The likelihood of overdosing increases significantly when ecstasy is combined with alcohol and other drugs. Because dehydration and concomitant organ failure are often a part of ecstasy overdose, treatment to reduce body temperature and rehydrate are typical first steps. Anti-nausea medication is often provided along with sedatives to reduce withdrawal symptoms. Treatment of physical symptoms precedes psychosocial treatment, which is offered once the individual is stable. One of the key components of psychosocial treatment of ecstasy abuse is to counteract the myth that it is a safer alternative to other drugs of abuse such as cocaine. Ecstasy has a very high potential for addiction and according to the National Institute for Drug Abuse (NIDA), over 40% of individuals who use ecstasy meet the diagnostic criteria for drug addiction. An individual's inability to control ecstasy usage. The neglect of social and professional relationships and responsibilities. The development of tolerance, resulting in a need for higher quantities to achieve the same results (obtain the same "high"). Get Help Today Find a treatment center to help you with your ecstasy addiction. In addition to outpatient and inpatient assistance, support groups and individual and group counseling are important recovery support services. Individuals in recovery often have to address a multitude of financial, medical, and social problems that result from their previous addiction. In the case of ecstasy addiction, the body's serotonin system--which is largely responsible for our capacity to feel pleasure--is often damaged after extended use. To help cope with the emotional consequences of ecstasy addiction, ongoing psycho-social treatment is useful, as are support groups such as Narcotics Anonymous. Recovery options are numerous and finding the right fit is important. Call 1-888-993-3112Who Answers? to learn more about the best ecstasy addiction treatment options for your treatment and recovery. Johnston L. et al (2014). Key Findings on Adolescent Drug Use. Monitoring the Future: National Survey Results on Drug Use. Institute for Social Research, University of Michigan. NIDA (9.2013) Drug Facts: MDMA. National Institute of Drug Abuse, National Institutes of Health, Washington, D.C.
ONDCP (2014). Countering the Spread of Synthetic Drugs- MDMA/Ecstasy. US Office of National Drug Control Policy, The White House, Washington, D.C.
Partnership for Drug Free America (6.2014) Biggest Risk Factor for Teens Taking Ecstasy: Use of Other Drugs. New York, New York.